12 weeks: Gradually lessen how frequently you feed your new kitten, while increasing the amount she is fed. At 12 weeks, your new kitten should be fed three meals a day. 6 months: By this age, most cats are fed two medium sized meals, twice a day. Adult cats should have a set eating schedule. You should also be weary of overfeeding your feline friend. To determine the appropriate amount of food to feed your adult cat, you must first know your cat’s weight. Most cat experts agree that felines need about 30 calories for each pound, every day. 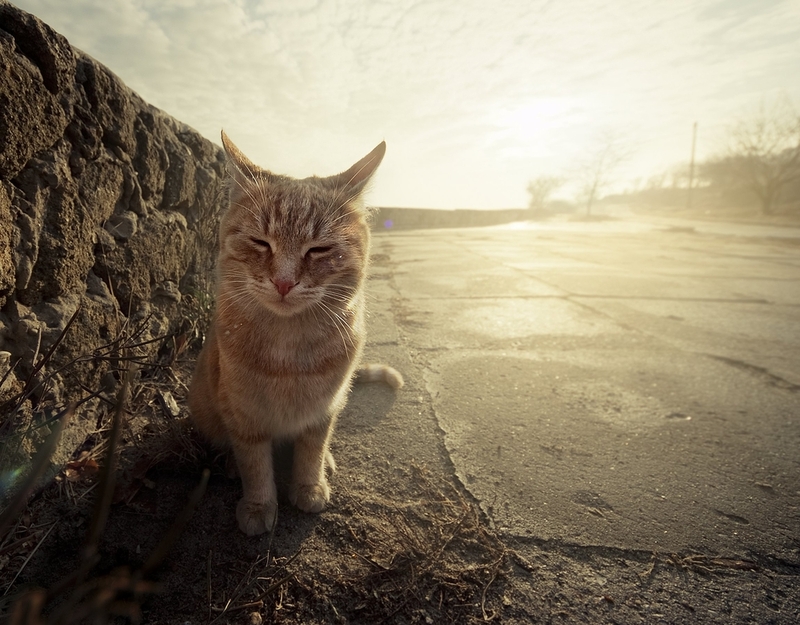 Adult cats, on average, weigh about 8 and would need 240 calories a day. 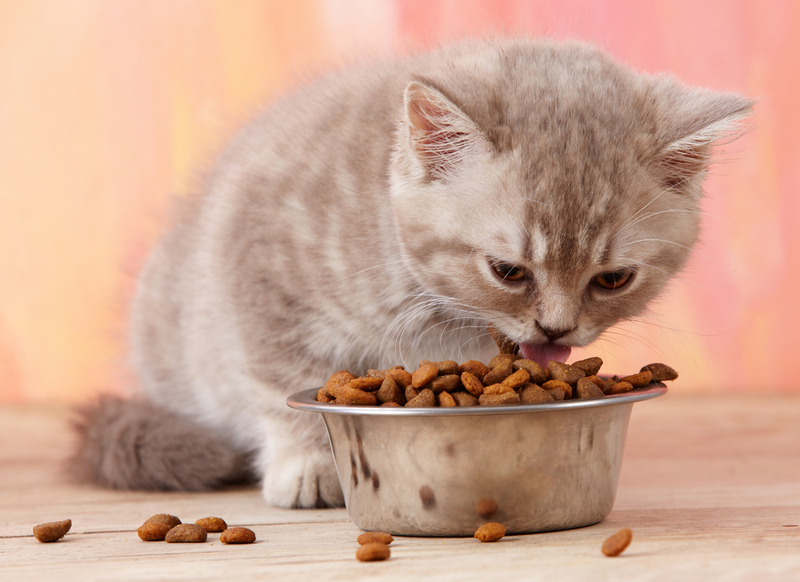 Most dry cat food has about 300 calories in each cup, while canned wet food contains 250 calories within a 6 ounce. Thus for the typical 8-pound feline should be fed a 6-ounce can of wet food each day or 4/5 a cup of dry food. Because most cat owners feed their felines twice a day, these amounts should be split in half for a serving size. 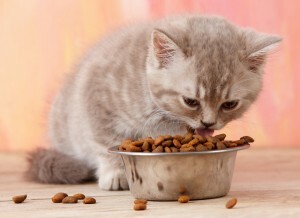 To raise a healthy, happy feline – a diet made up of both wet and dry food is recommended. You can feed one serving of wet food then the next meal can be dry food. Some owners even mix the wet and dry food for each meal. 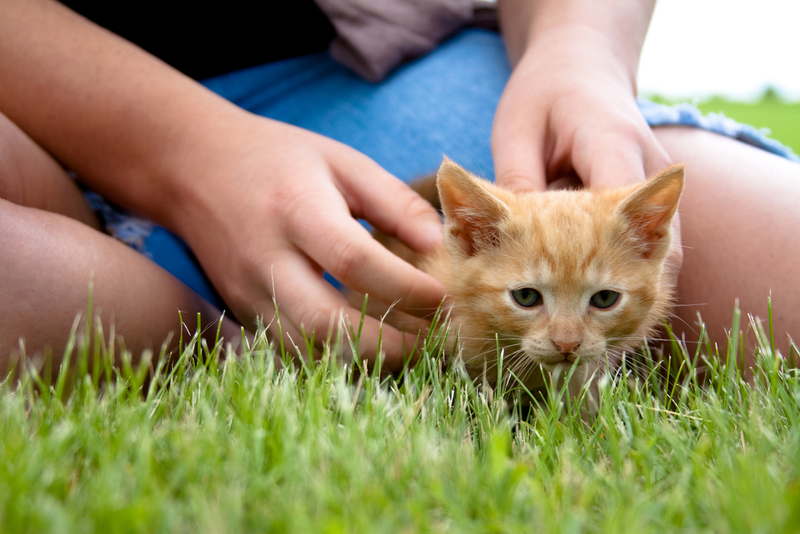 It’s dependent on what you and your new kitten prefer to do. 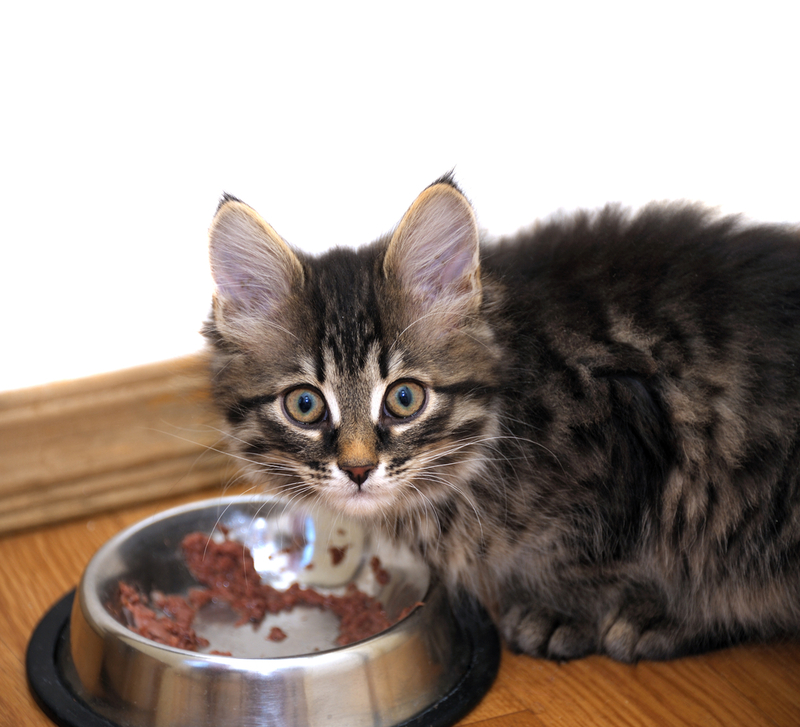 How much do you feed your feline friend? We’d love to hear your story!